What’s next for UnREAL? 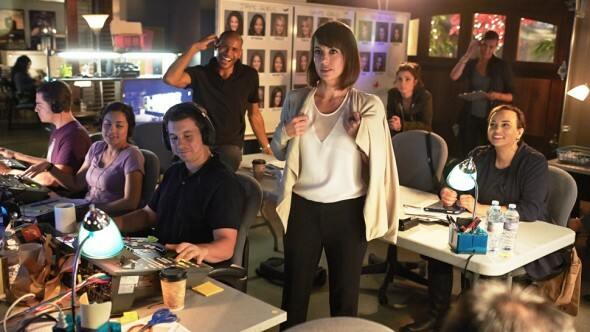 Star Constance Zimmer recently spoke with TVLine about season two and what’s in store for the Lifetime series. The show explores the drama behind the scenes of a popular dating reality series. The cast includes Shiri Appleby, B.J. Britt, Craig Bierko, Jeffrey Bowyer-Chapman, Josh Kelly, Brennan Elliott, and Amy Hill. This is also what’s interesting about the way it ends: All four of those characters, they’re a really, really f–ked up family, if you want to look at them that way, and it shows you that they’re all just as evil [as each other]. It’s not just Quinn and Rachel. This is where I sit here and defend my character, but ultimately, I didn’t do it, and neither did Rachel. If you want to put it under a magnifying glass, we didn’t ask anybody to do that. It’s going to be interesting, though, how it affects them emotionally next season. UnREAL has already been renewed for a third season. What do you think? Do you watch UnREAL? Were you shocked by the season two finale? More about: Lifetime TV shows: canceled or renewed?, UnREAL, UnREAL: canceled or renewed?